Do you know how much a 30 second TV ad slot during the Super Bowl cost? A staggering $4.5 million! The UK’s most expensive slot, which is during the X Factor, costs around £200,000. But while the UK tends to work out cheaper than America, John Lewis’ recent Christmas ad campaign was valued at £7 million this Christmas- showing that companies on both sides of the pond are prepared to pay big bucks to get in front of their audiences. Some argue that advertising is migrating from the traditional TV to the web and being demoted to a secondary status, in the same way that newspapers and radio were pushed out. However if this is the case, why are brands like Supercell, T-Mobile and Snickers still willing to pay such a high price for their piece of the Super Bowl pie? The 21 most-watched television programmes in American history are all Super Bowls, and last year’s event drew in 111.5 million viewers, arguably justifying the $4.5 million price tag tied to this year’s event. However, the ad-engagement rate is unlikely to match this figure. According to UK marketing company Rocket Fuel, over the Christmas period a third of UK viewers spend ad breaks online. This rise in second-screeners (those who flick between their phone or tablet and the TV screen) means less attention is paid to the TV screen, especially during the advert breaks. I know I often use this time to scroll through social media, to text a friend back, or to read the news. Furthermore numbers from BI intelligence suggest that digital media is set to replace TV as the top venue for both audience share and ad revenue, and Forrester research predicts that digital will overtake TV ad spending in two years. These are worrying stats for television. However, my belief is that TV advertising will remain a fundamental way to engage with the public and ultimately increase brand awareness. Over Christmas, across both linear and OTT TV services, I felt the impact of TV advertising more than ever. From John Lewis’ heart-warming story featuring Monty and Mable the penguins, to Sainsbury’s reconstruction of the famous First World War Christmas Day football match, brands really upped their game, creating iconic TV adverts which became inherent to the Christmas build-up. Furthermore aside from selling a product, TV advertisements are a powerful way to convey messages: anti-smoking, healthy eating, alcohol abuse etc. 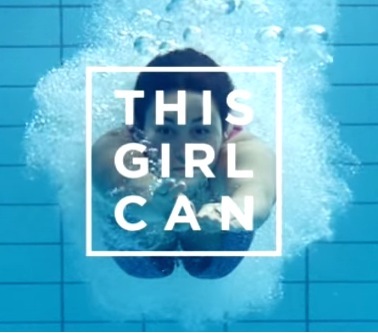 A brilliant advert by Sport England has recently hit our screens titled, ‘This Girl Can’. 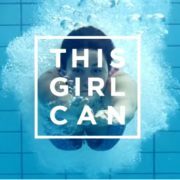 It shows real women working out in the hope that it will encourage others to take up exercise. If you haven’t already seen it, here’s the video. $4.5 million for a 30 second advertising slot is a high price to pay, but it reflects the importance and value of TV advertising- and much of the media hype following the Super Bowl focused on the TV commercials rather than the game itself. As for the second-screeners, there are no easy solutions to recapture attentions during the ad breaks. But it is clear that ads need to stand out (#stopkim). Today it is more important than ever to up your game and engage with viewers because without TV advertising, the TV industry would cease to exist the way it does today. Without consistent ad revenues, TV networks may have no choice but to raise subscription fees for the channels, encouraging some consumers to cut the cord completely, changing the way we watch TV forever.